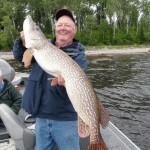 We weren’t really surprised that the bass bite peaked this week, but we were a bit surprised by a pretty good big pike bite. The weather had us shifting gears this week. There wasn’t any real dramatic change in patterns until today, unless you can call the absence of pattern a trend. On paper, the forecasts looked pretty good; light and variable to calm winds, a little hazy sunshine, not cold, not hot, and no major rain events. 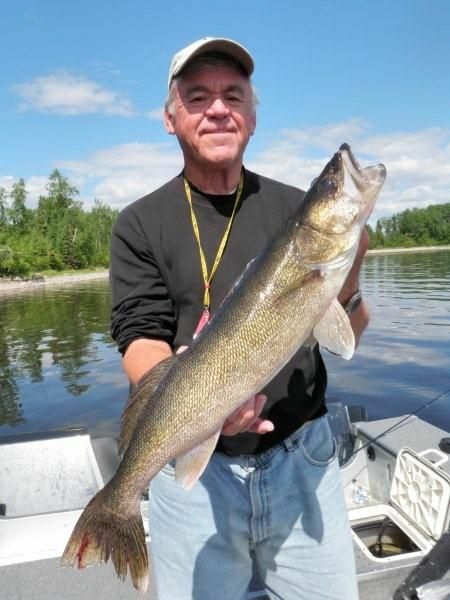 Nothing stood out for the first six days and evidently the walleyes saw it the same way and continued to spread out to all depths between 2 and 32 ft. and all areas between “spring,” “transition,” and “summer.” Many days were affected only by lake winds. A south breeze on the south shore turned into a west breeze on the main lake and into flat calm as you travelled to the North shore. 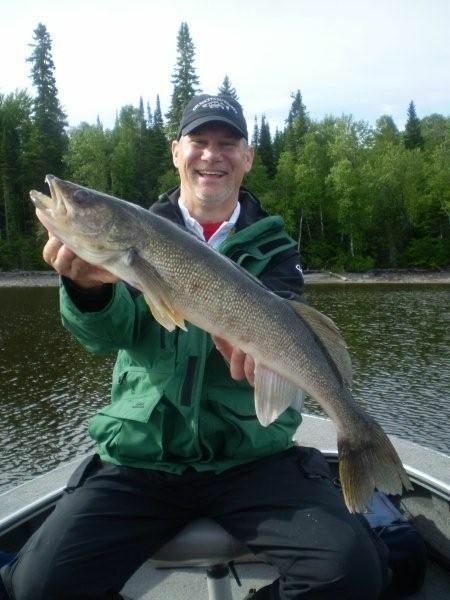 With walleyes scattered, a marginal bite turned into a tough hunt for the guides at times. 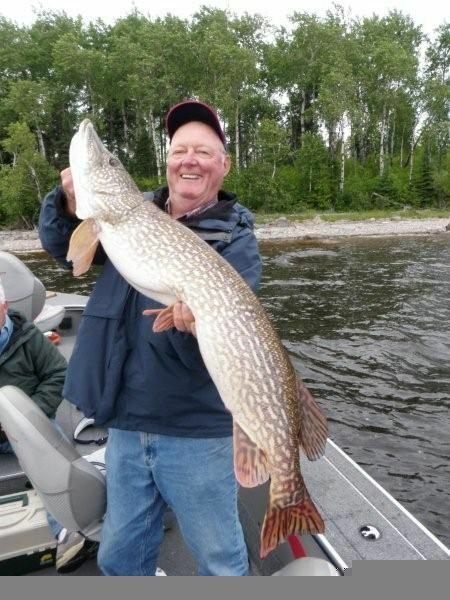 Fortunately, a challenging walleye bite also coincided with a red hot bass bite and a surprisingly good Pike pattern for the few boats that spent time chasing them. 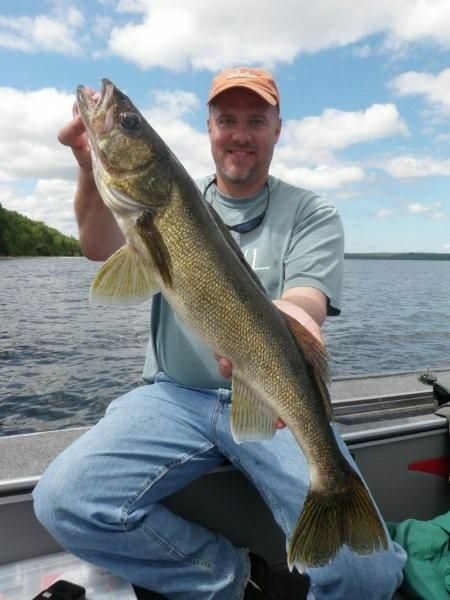 One of the options that I continue to preach to the guide crew is to not just change pace in terms of depth, speed, and seasonal location for walleyes, but to also change up to a different species when the walleyes don’t cooperate. This week, most every group fished bass for part of their stay as the bite was as hot as it gets. For the week, we caught and released 320 bass over 17 in., including 99 – 18s, and 14 – 19s. It was simply outstanding bass fishing. 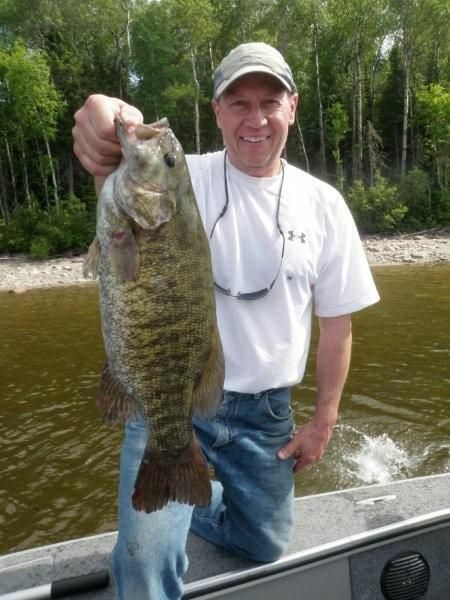 Jeff Eaton and Art Diehm spent almost one full day on bass and caught and released 121 between 15 and 19.75 in. 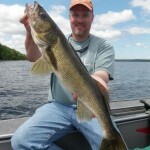 We had a few slower walleye fishing days this week that included 2 days that no one caught a 27 in. fish. The bite picked up dramatically at the end of the week with the arrival of wind and weather. Volume remained good with reports averaging 30 per day over 18 in. per boat. 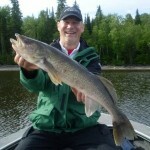 The highest daily walleye total was 56 over 18 in. 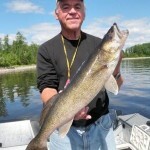 Big fish numbers were good with 15 over 27 in., including 6 – 28s. 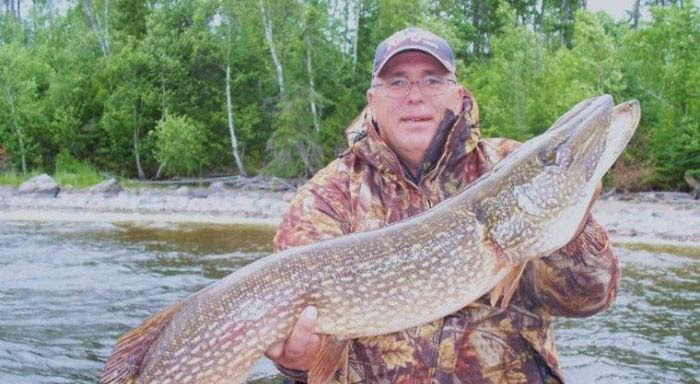 The second week of June is typically very difficult to pattern mature pike, but a few guide boats did stumble on to some good pike action and size this week. Best locations were shallow sand inside contours with a light wind blowing in. For the week we had 11 over 37 in., including 3 – 38s, 3 – 39s, 1 – 41, and 1 – 43. Spoons, Husky Jerks, and big pike plugs were most productive, but when the big fish were turned on, I really feel like it didn’t matter what you threw in front of them. Location was the key. 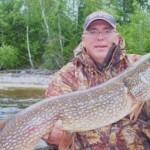 The next day he went back to the same area with a different guide and caught a 41.